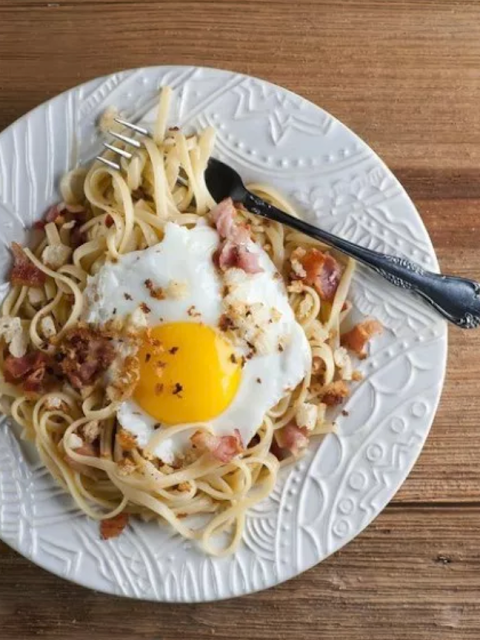 As chicken keepers, I think we all grow to love "breakfast for dinner" and this recipe for Sunny Side Up Eggs and Bacon Spaghetti from Kate at Framed Cooks fits the bill. 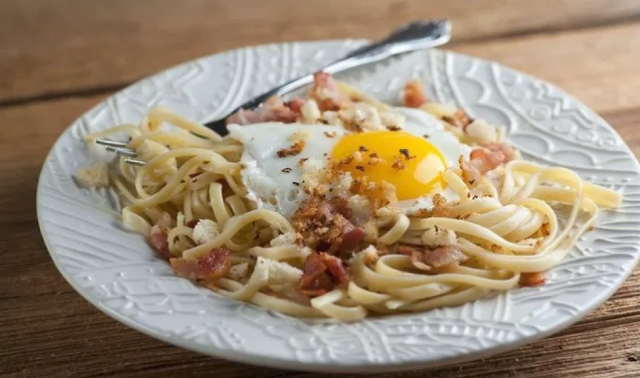 You're going to really enjoy her take on a sort of carbonara-like pasta recipe that features a fresh sunny side up egg! You can't go wrong with any recipe that includes fresh eggs, bacon, butter and pasta, am I right? Just be sure that you don't over cook your eggs because the silky, runny golden yolk will turn into a creamy smooth sauce for the spaghetti. As Kate says, "Bacon and eggs aren’t just for breakfast anymore – not when you add pasta! 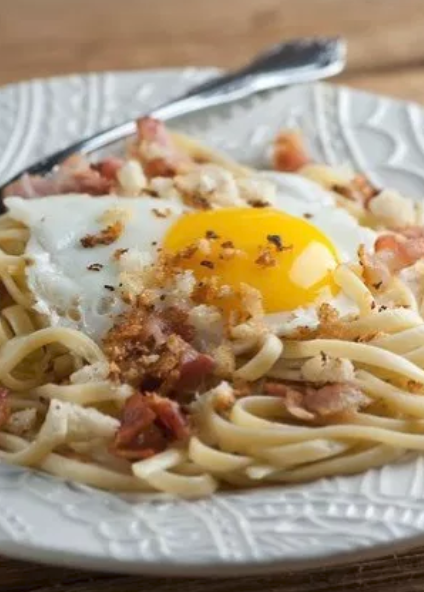 Try this easy recipe for bacon and eggs spaghetti tonight!" Bon Appetit! And be sure to join Framed Cooks on Instagram!